I'm Chris Shipton. I'm an illustrator... with a difference. With my help your business events will stand out, your meetings will deliver the goods, and your brand will engage, interest, inspire and influence more people. Together we'll make great things happen. Here's how. Meetings are a vital part of business communications. So how do we make them memorable? I bring something called Graphic Recording into play, visualising your meeting or event powerfully and memorably through drawing. These drawings function as visual maps, capturing things perfectly in words and images. It's a fascinating process and comes with plenty of business benefits. Watching live scribing engages audiences and helps people remember the day whatever its size or style, covering workshops to presentations and everything in between and delighting audience of ten to a thousand. Live illustration makes a real difference. Click below to find out more and see some of my live illustrations. Scribing is powerful stuff. It's all about creating a work of art live and in the moment. But a Rich Picture takes things a step further. The process involves taking time to carefully hand render themes, messages and complex ideas in a way that's both attractive and compelling. Built either from work drawn in a meeting or created from scratch, these drawings are used by my business clients to communicate strategies, events, new ideas, fresh developments, change management and more. They make great posters, postcards and web content too, carefully created to complement your business goals and direction. Want to see my work for yourself? Click below to experience some of my rich pictures. Sketchnotes are a cool thing to do, and all it takes is a sketchbook. It's a bit like Graphic Recording but done at A4 size, practical and flexible. It's a hugely versatile approach. It lets me create small-scale visuals at large events, and it's so much more powerful than taking boring, infinitely forgettable minutes or meeting notes. You get on with the business in hand, I represent exactly what's happening in sketch form, and everyone can see exactly what's happened afterwards, at a glance, in a format that's easy and pleasurable to digest in an instant. Want to see for yourself? Click below to see some of my sketchnotes. 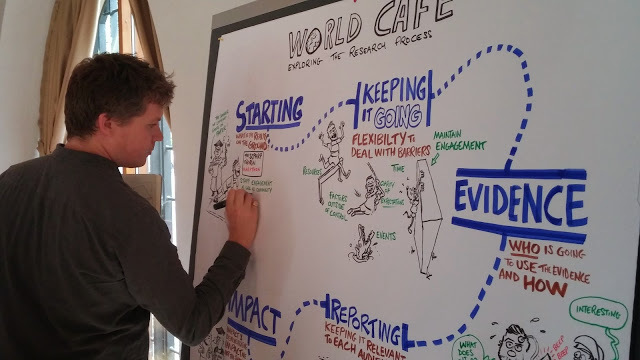 Conferences are the perfect setting for graphic recording thanks to large, lively audiences to engage with and plenty of material to represent visually. While you're presenting I'll be busy drawing, either on or off stage, as a very visible feature of the presentation or discreetly in the background – it's entirely up to you. The resulting drawings, like all of my work, can be used for all sorts of purposes as well as recording what's been said, done and agreed in a format that every delegate understands and enjoys. 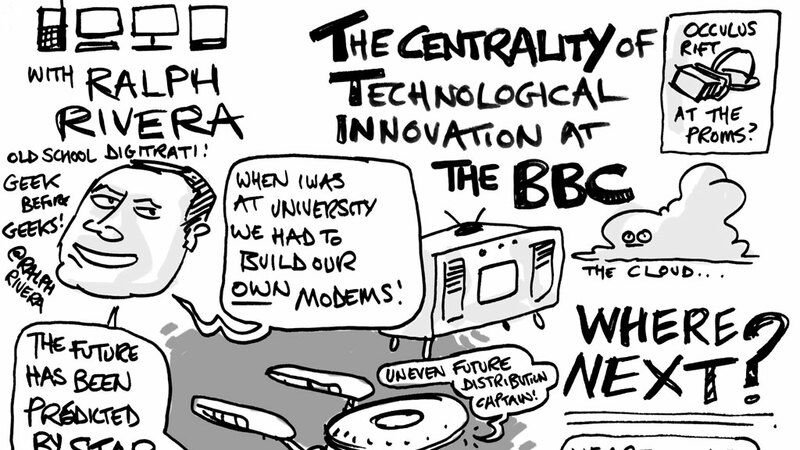 Click below to see examples of how my conference sketches make an event seriously special. Trade shows are highly competitive spaces. When you've spent good money on a stand you want delegates to notice you, engage with you and most of all remember you when the event is over. You could simply hand out business cards, goodie bags and brochures like everyone else. Or you could pull in large, interested crowds of people thanks to my drawing, watching as I create entertaining, relevant images live and direct. It's fascinating seeing an artist at work, and it gives brands a genuine boost. 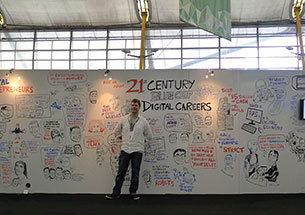 Draw the crowds with live drawing – click below to see some of my trade show illustration work. Live illustration doesn’t need a crowd of hundreds to deliver real value. It’s also a great way to pull precious ideas out of a small setting, perfect for important meetings. While you get on with business I quietly sketch away, discreetly creating a visual representation of what's being said, decided and discussed. If you prefer me to play a more obvious part I can take centre stage so the attendees cam see the sketch unfolding as the meeting progresses. Either way my work makes an unforgettable impact, something people won't forget in a hurry. If you'd like to check out some of the work I've done at corporate meetings, click below. 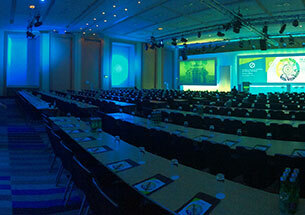 If you'd like to add an extra dimension to your meetings, events, conferences and trade shows, let's talk. 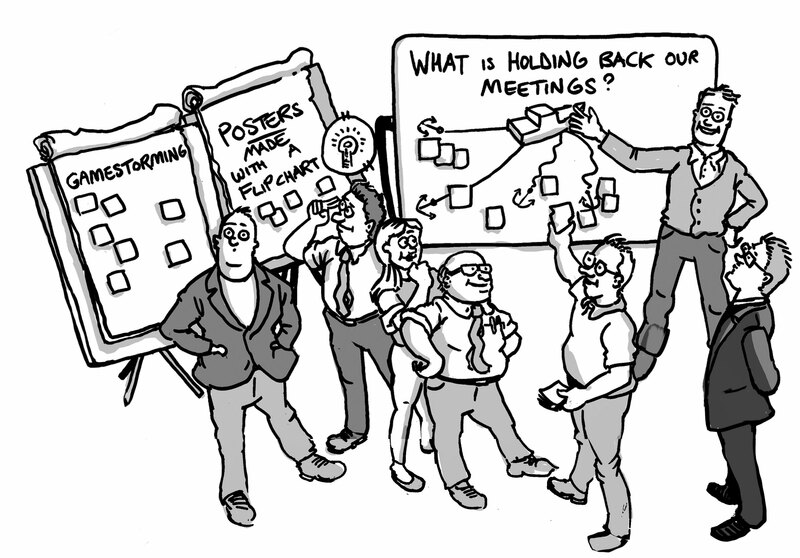 I create visual maps of meetings and events live as they happen. 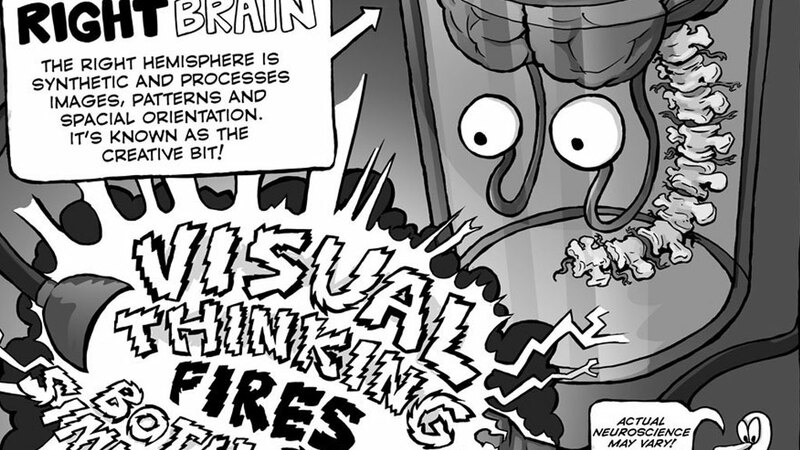 This visual thinking process is called Graphic Recording or Scribing. © 2014 Chris Shipton. All Rights Reserved.